Home News Smartphones LG Nexus 4 White now official: Same Popular Smartphone, Different Color! LG Nexus 4 White now official: Same Popular Smartphone, Different Color! LG Electronics just announced the launch of Nexus 4 White, the newest edition of the popular smartphone developed in collaboration with Google. Nexus 4 White features the same stellar Android experience as the original Nexus 4, combining LG's sophisticated hardware design and popular Google Services such as Google Now and Photosphere for an outstanding overall user experience. "Nexus 4 set the standard for Android 4.2 Jelly Bean smartphones," said Dr. Jong-seok Park, president and CEO of LG Mobile Communications Company. 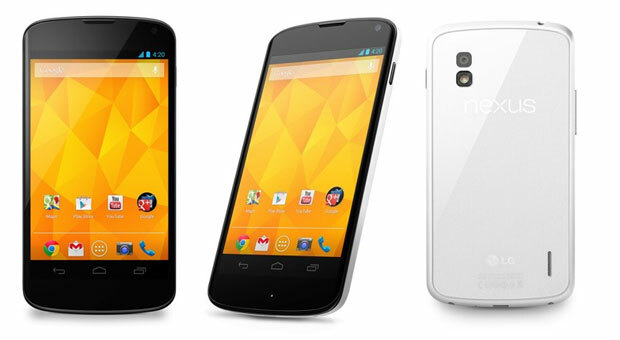 "Nexus 4 White delivers the same Google experience to consumers in a stylish and attractive color option." Nexus 4 White comes with the superb 4.7-inch 1280-by-768 True HD IPS Plus display (320ppi) supported by Zerogap Touch technology. At its heart is the high performing Qualcomm Snapdragon S4 Pro processor and 2GB of RAM. Starting in Hong Kong on May 29, Nexus 4 White will roll out globally in select markets in Asia, North America, Europe and the Middle East over the next several weeks. LG didn't mention any pricing, so assume that the price will be the same with the black variant of the Nexus 4.